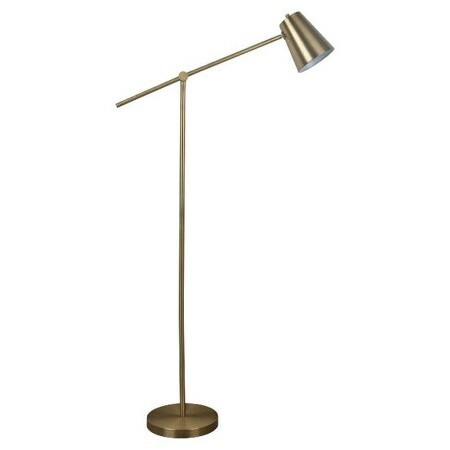 For today’s post I’ve gathered up some of the recent deals I’ve found online for my home and wanted to share them with you! 1. 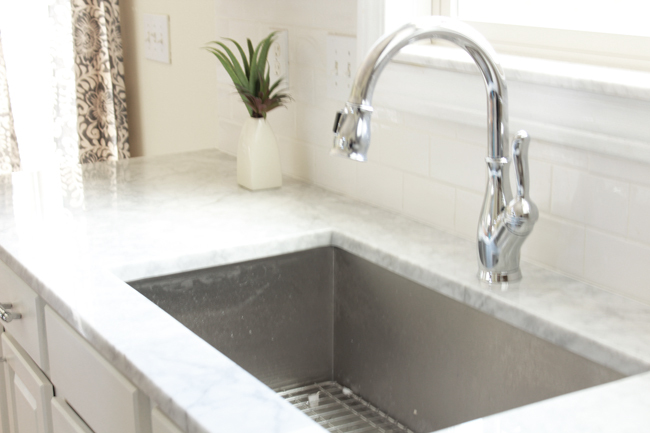 Kitchen Faucet. When we got our new countertops it came with an undermount sink. I was planning on using the faucet we already had from the old sink but when we removed we found some crud and mold around the inside of it’s base. I had gotten the old cast iron sink and faucet from Craigslist and there was no telling how old they were. 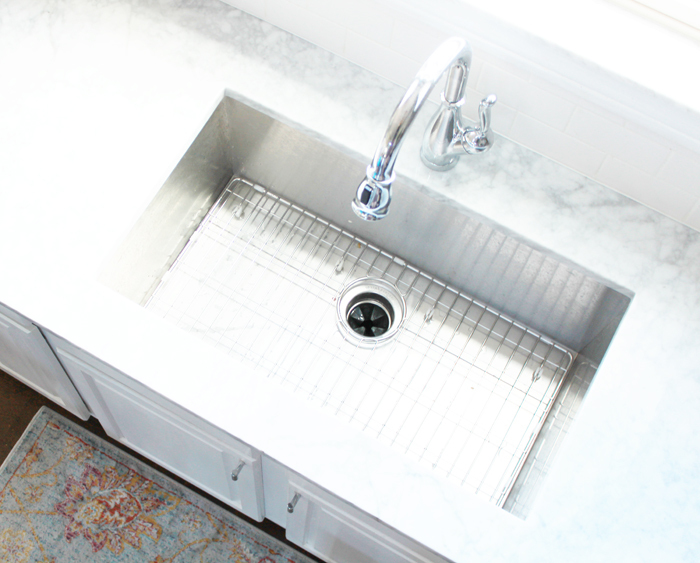 After finding the crud we felt it was time for a new faucet especially since it would be sitting directly on the the marble countertops! 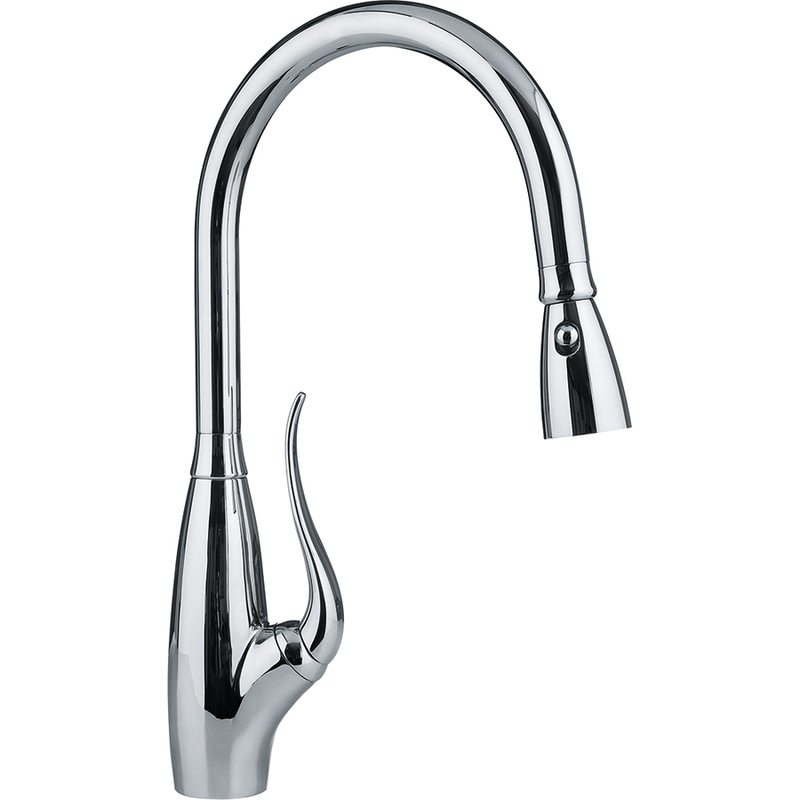 I did tons of research for the new faucet. I wanted the best faucet for the best price! Here was my inspiration faucet from Lowes for $469. There was no way I could or would pay that much for a faucet! 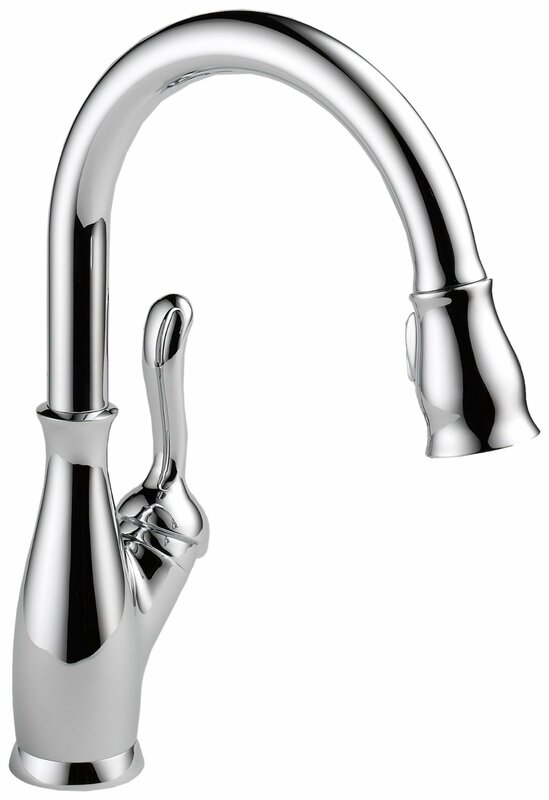 After tons of research I found this faucet on Amazon. 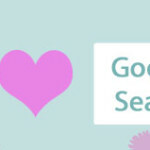 The reviews were very good and it had all the features I was looking for and for $300 less! I bought this single handle pull down faucet on Amazon for only $161. 2. 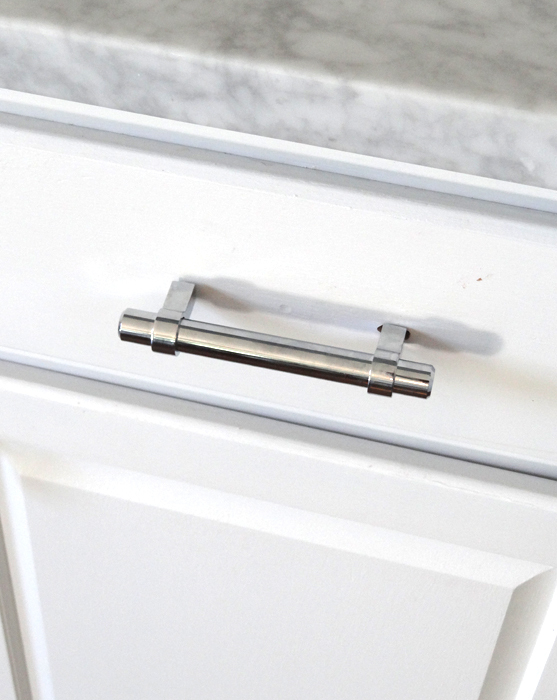 Cabinet Hardware (Pulls & Knobs). 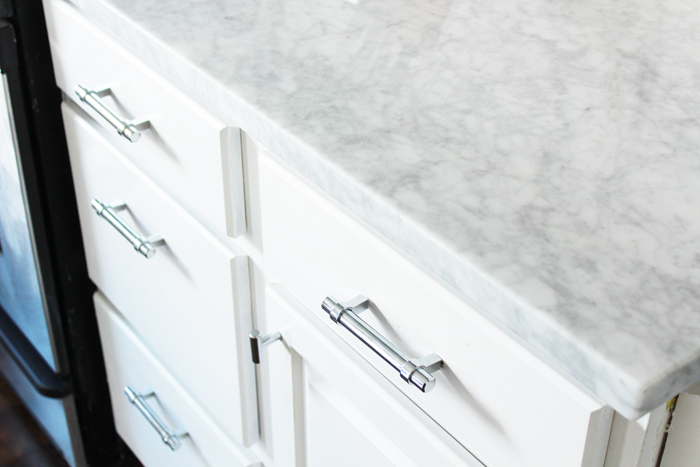 I’ve been eyeing some gorgeous cabinet jewerlry around the web. 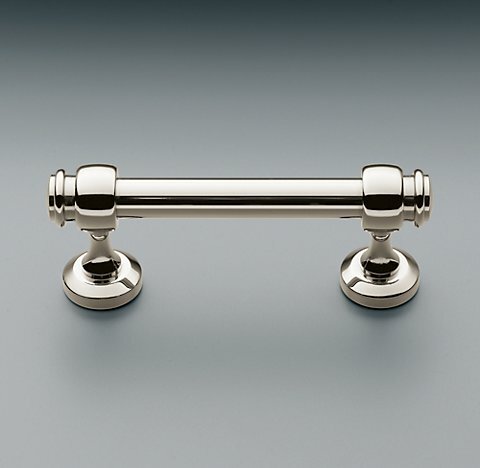 I love the “expensive” look of these Restoration Hardware pulls! But at $19-$25 a piece it wasn’t going to happen! 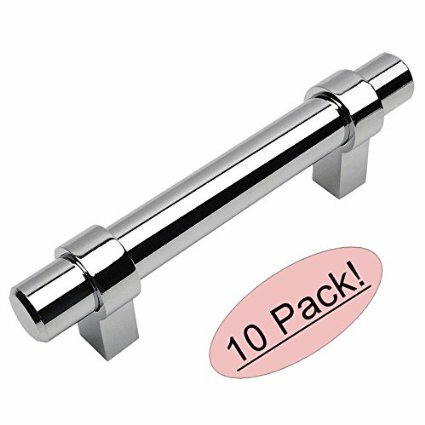 I found THESE pretty polished chrome pulls on Amazon (I’ve been having a lot of luck on Amazon lately!) for only $3.60 a piece! The are super nice and look and feel “expensive”just as I had hoped! 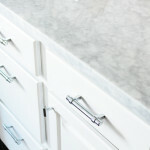 For the upper cabinets I stuck with a knob instead of a pull. These are the pulls I used. 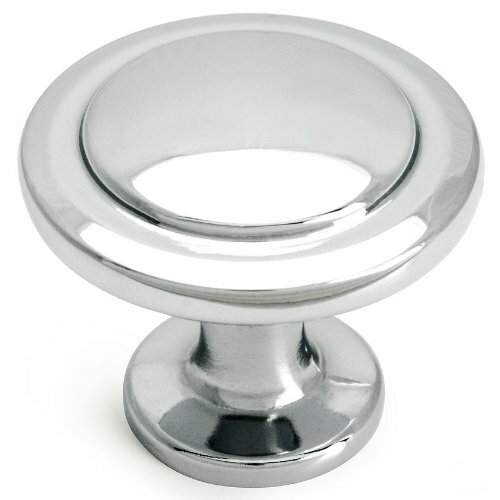 They are pretty, polished chrome knobs and are only .99 cents a piece! 3, Accent Pillow. 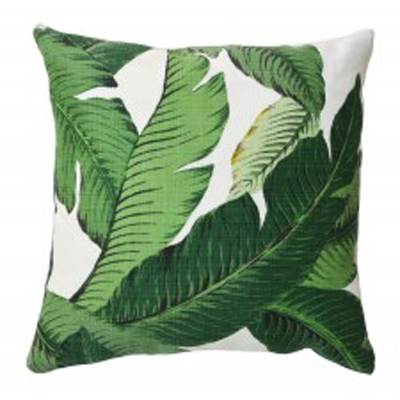 This tropical/botanical print has been hot in the design world as of late! 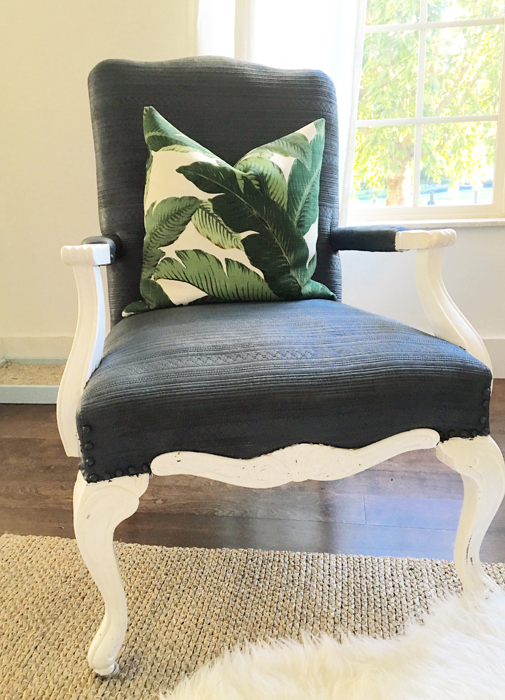 I hadn’t seen any accent pillows in this print for a reasonable price until my friend Lacey from Lacey Placey brought them to her online pillow shop. 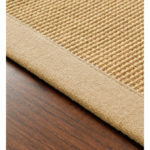 This 18×18 pillow cover is a very fair price at $20.50! 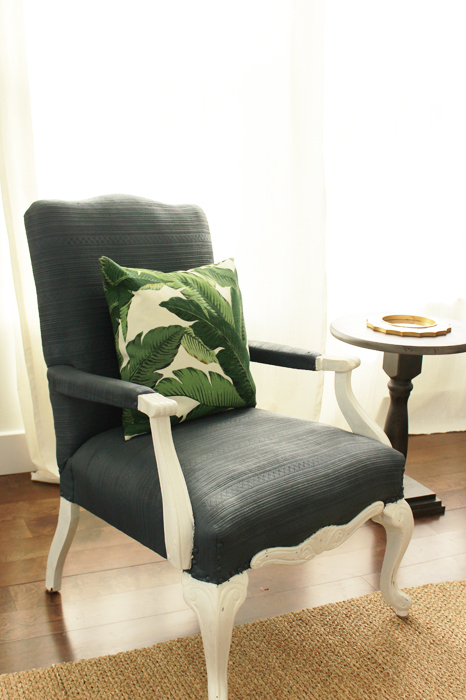 I love how it looks in my living room (which I am tying loose ends up as we speak–reveal to come)! Lacey has lots of pillow options in her shop for great prices and I like that she also sells the fabric so if you like the print but need it for something other than a pillow in most cases you can buy the fabric! 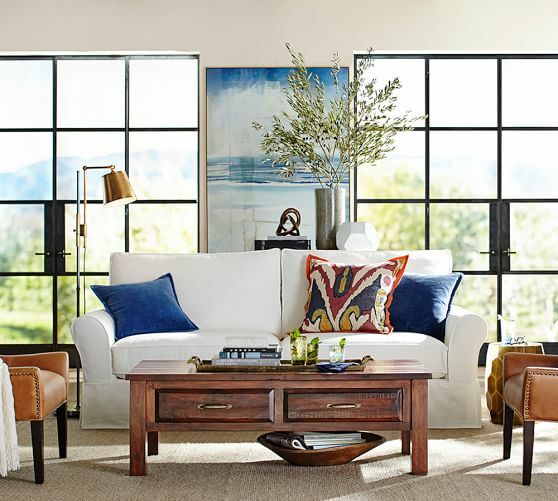 Here is Pottery Barn’s version for nearly $300. And Target version for just $40. I even like the lines of Target’s version better and have been impressed with it’s solid construction! 5. Counter Height Stool. Lastly back to the kitchen I added a new set of counter-height stools to our kitchen table. 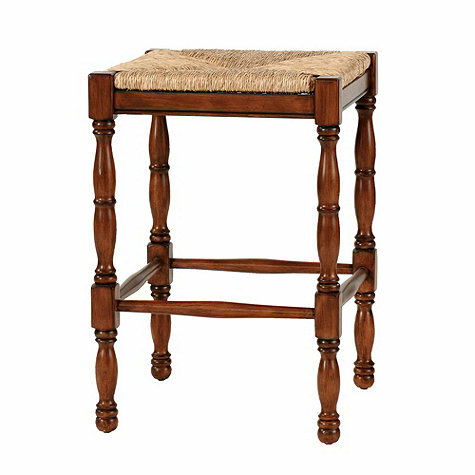 Ballard Designs provided the inspiration at $139 per stool. 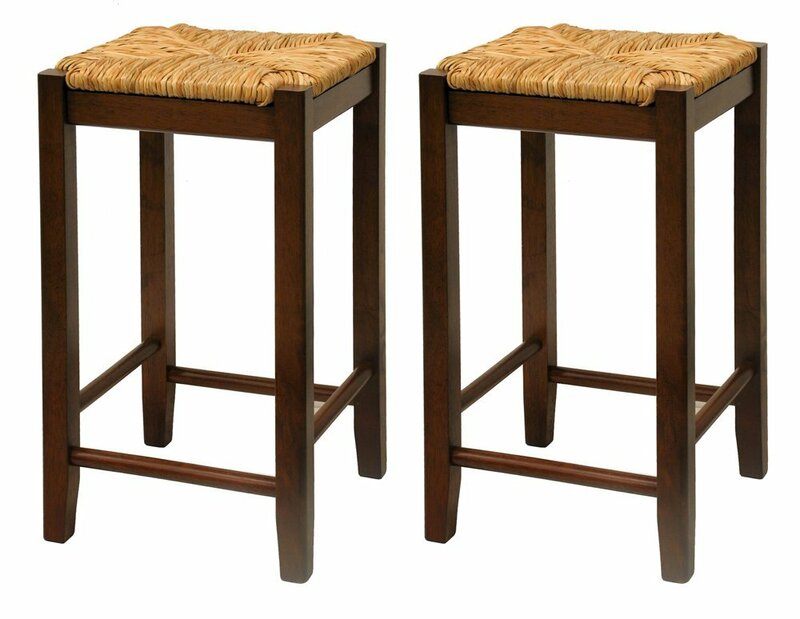 Yet again I lucked out on Amazon and found these counter height stools 2 for only $51. They aren’t as ornate in design as Ballard’s version but I actually prefer that for this space. So basically you get about 6 of these stools for the price of one Ballard Design stool! They were just what I was looking for and for a great price! I hope these deals come in handy for you or at least can inspire you in getting “the look for less”!! 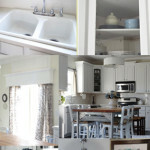 I truly believe a magazine beautiful home is possible on a budget!! I’ll be back next week with a new DIY! Hope you have a great rest of your week!! Great deals! I must say that in every case I like your version better than the inspiration. I was thinking the very same thing Melva! Especially the stool and lamp. I am impressed with your shopping skills! Great job! It’s nice to get the champagne look on the cheap wine budget! Will/way. 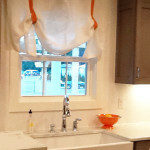 I bought some buffalo check curtains for $10.00 a panel at Home Depot for my living room windows and I love them. 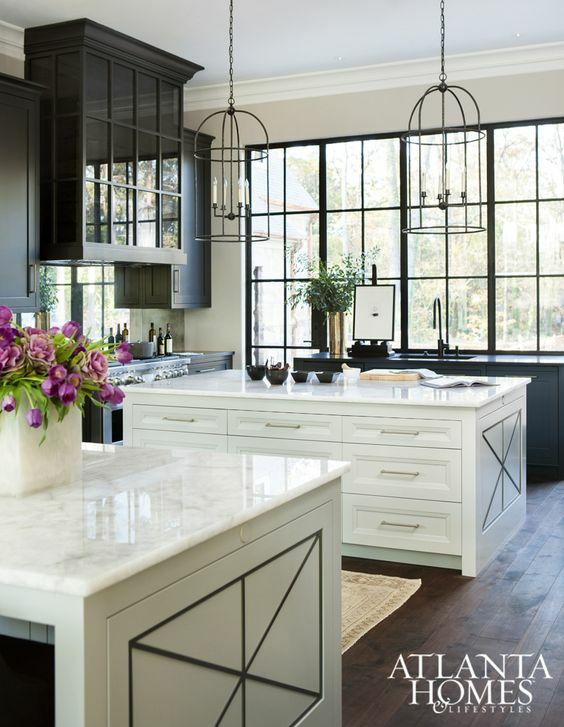 I almost ordered the exact curtains from Wayfair and they were almost $30.00 a panel so I was tickled to death to save so much money. Thanks for the encouragement to continue to be frugal. I’ve noticed in all the lovely staged rooms, the TV seems to be missing. Most lived in homes have multiple sets. Living room, master bedroom and/or family room if there is one. I know rooms are easier to have focal points, I.e. Fireplace or big bay window, but who are we kidding by removing the TV. 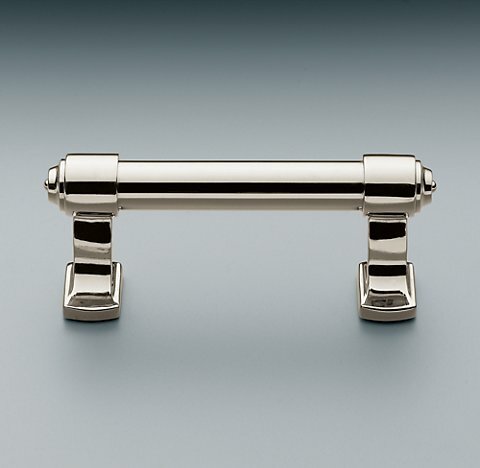 What are the names of the knobs and pulls that you used? Love them!